hi! 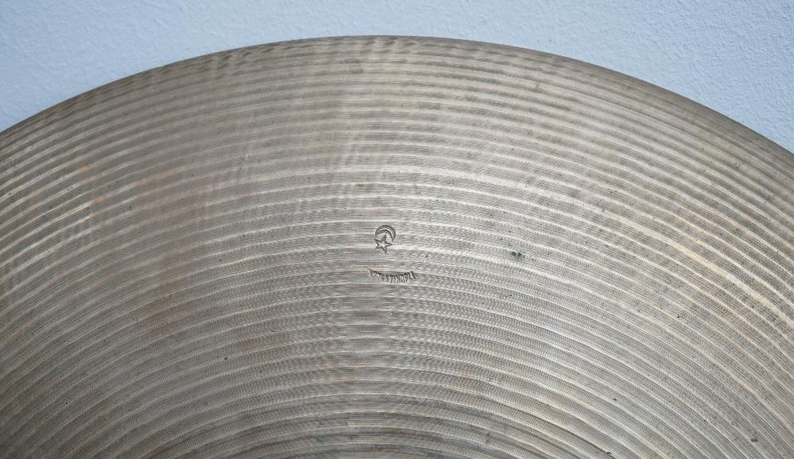 can anyone please help me to identify these hi hat cymbals. they are rather old. thanks! That is an Italian UFIP creation manufactured under the scencil brand name of Zveltiam. 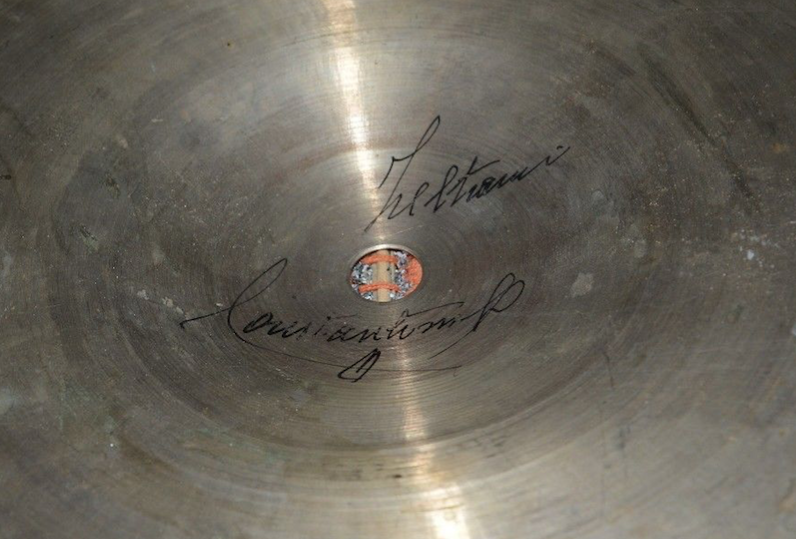 Yes to UFIP, and I wonder if this might be an example of the Super Constantinople produced for sale in France according to Pinksterboer in The Cymbal Book (p167) and Luciano in Italian Vintage Drums and Cymbals (p129 in the first edition). 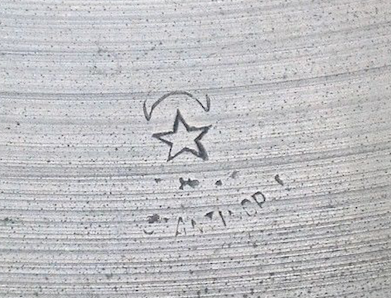 In contrast the two Zveltiam stamp examples on the UFIP stencil brands list have a different style of moon and star. 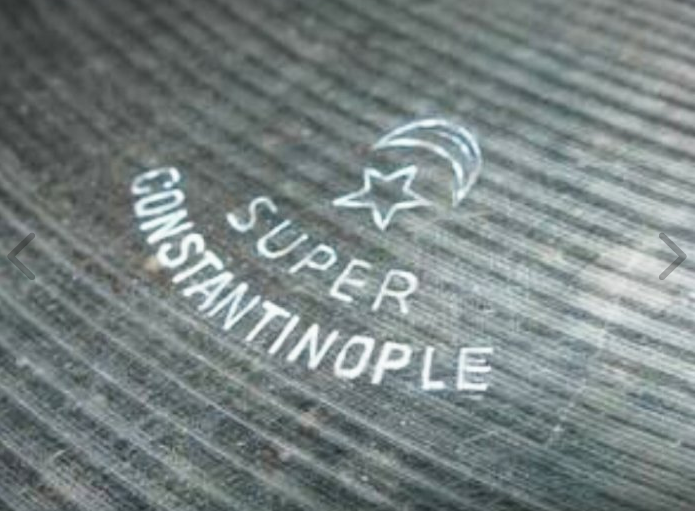 There isn't a Super Constantinople stamp on the UFIP stencil brands list, although it is documented in both of the books referred to above. 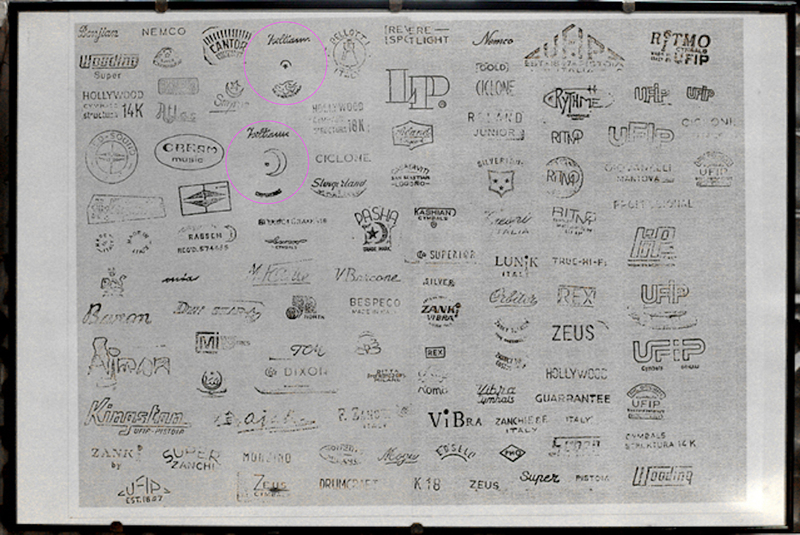 It is possible that there is another form of the Zveltiam stamp which does look like that, and Drumaholic might have one to show us. 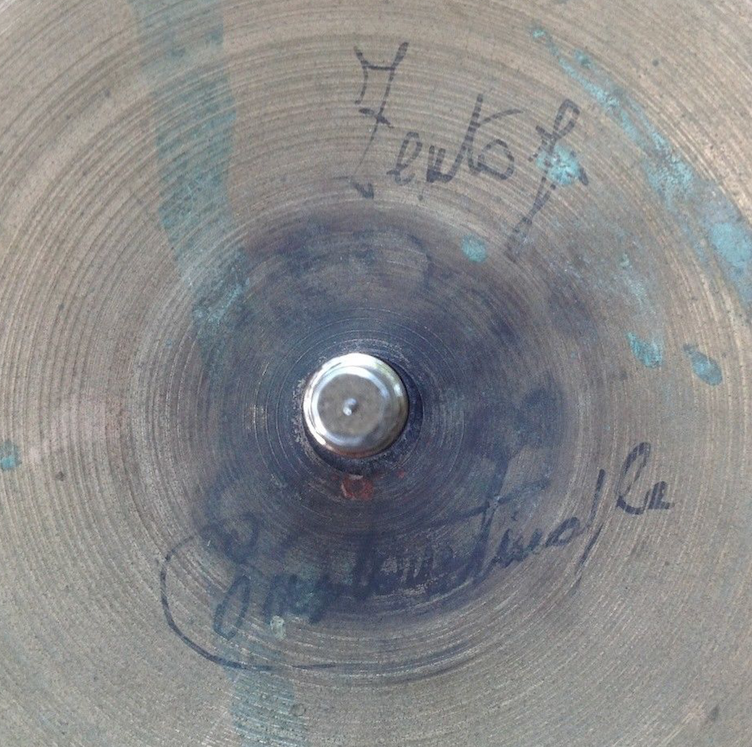 does have writing on the underside of the bell. 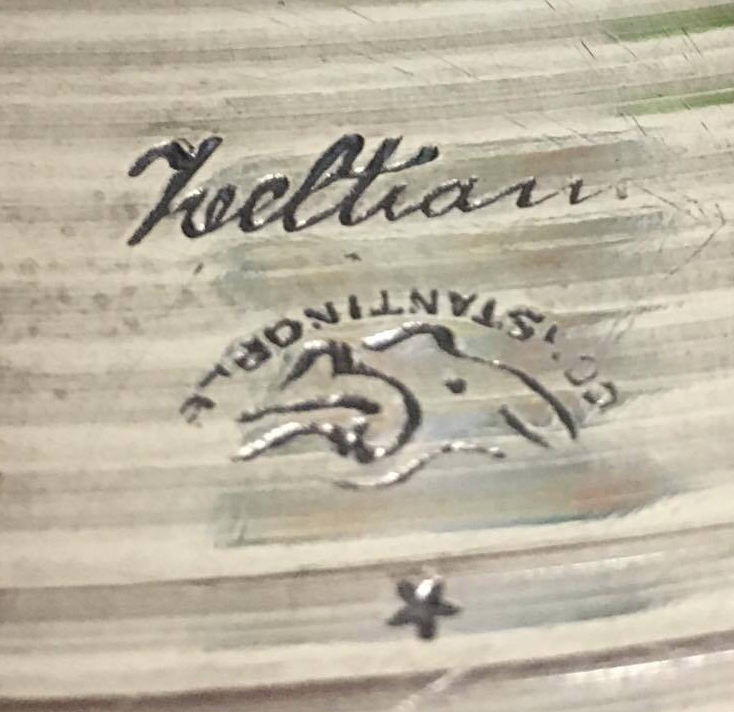 If you squint you can see the top portion might say Zveltiam (or similar) but it doesn't quite fit the pattern of other Zveltiam writing from a cymbal which has both a Zveltiam die stamp and the writing Zveltiam Constantinople under the bell.